I will be presenting this June at the National Conference on Girl Bullying. 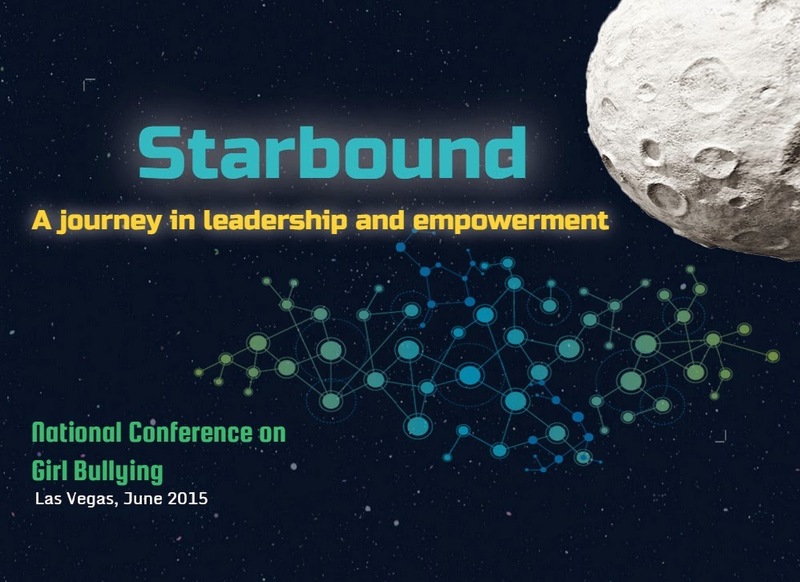 I am really excited to be able to share with others my program that I have lovingly called, "StarBound." StarBound began in my Lunch Bunch groups and has grown each year with the number of girls participating. Each week we meet to really develop leadership skills and empower them to take action in our school. If you have been reading my blog you have read along the way all the things that we do. I am proud of these girls and the growth they have made. They are empowered. They are strong. They are beautiful. The Conference will be 3 days--June 22-24 and will be held at the Westgate Las Vegas Resort. While I'm not sure why they pick the hottest spots in the US for summer conferences, I am confident that there will be a lot to learn and do. The link to the conference is here. Title: Got Guidance? How's That workin' for Ya? In addition, Molly Barker, Founder of Girls On The Run will be a keynote speaker. Molly Barker is an excellent speaker and Girls on the Run/ Girls on Track is a fantastic program. Congrats on presenting at such a wonderful conference.